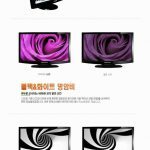 These monitors have recently caught the eyes of many netizens. For the past few months they have been hyped up quite dramatically due to the sheer value they have. I present to you the budget Korean 27” IPS monitors. They are sold in Korea for quite some time already but are only known to the world after being spotted on eBay for an extremely attractive price. This post will serve as a short introduction to these monitors as well as a short consumer review on one of the budget monitors that I have recently purchased. Read on for some information that I have researched and collected prior to purchasing the monitors followed by my review on the monitor that I bought. The monitors all have a native resolution of 2560×1440 with a default refresh rate of 60Hz. They are all 8-bit glossy displays with no anti-glare coating (except for one known particular brand called Davi). Tempered glass is present on specific models and every brand seems to have a model that provides such an option. There is no on-screen display (OSD) except for the models with multiple input. There are buttons however to adjust the brightness of the monitor (and volume should yours have speakers). They all house an LG IPS LCD panel, supposedly of model LM270WQ1. This model is similar to that being used in the iMac. They are budget monitors with only 1 DVI input (dual-link) and if you purchased the one with built-in speakers, an additional audio input. The models with more inputs cost significantly more but you will have the options of HDMI, DP and VGA (inputs subject to brand). You will need to output at 2560×1440 using a dual-link DVI cable via your dual-link DVI output port at your graphics card to drive these monitors. People have reported to be successful in using certain active DP/mini-DP to dual-link DVI converters to aid in the compatibility of a multi-monitor setup and outputting using a laptop. Some people have also reported that they are able to output using a PS3 set at 720p. Do note that the content will not be scaled up due to the lack of a scaler. This also means that you cannot output 1080p/i. The monitors with multiple inputs do however have a scaler and will accept all signals. Response time is stated to be 6ms for GTG (Grey to Grey). All of them supports VESA mount (to be verified). The AC adapter for the monitor is rated at 220v. Plug provided is for Korea. It is reported that you can safely use the AC adapter by simply using your own power supply cable. Some eBay sellers provide additional converter (they should state on the page). The monitors come with a 1 year manufacturer’s warranty. You will have to ship your monitor to them in Korea. For most sellers, it is stated that only when there is more than 5 dead pixels would you be able to claim a refund or to exchange for a new set. They are currently priced in the range of ~$300 to ~$400 USD (worldwide shipping included). The models with multiple input costs ~$500 USD onwards. (price reflected as of 15/4/2012). A particular brand and model (Catleap) of a specific revision is reported to be able to be overclocked to 120Hz. Other models can be overclocked but not by much. 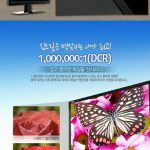 People have found the wholesale link to similar types of monitor with a price set at roughly $100 USD (excluding shipping) with a minimum order quantity of 1000. 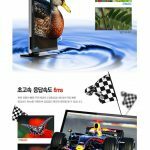 These monitors are sold at around $250 USD in Korea. 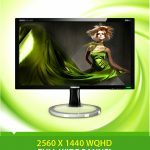 There are well-known brands that sell such “budget” monitors. They are HP (ZR2740w) and Hazro (HZ27WC). They are however, relatively more expensive. 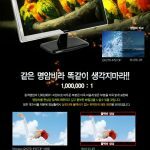 The monitors are available to be purchased on several platforms (GMarket, eBay, aliexpress, local retail stores in Korea). The most straightforward way of obtaining one is through eBay. The rest of the other platforms usually cater to the local Korean consumers. There are many different sellers on eBay selling the exact same brand and model. The differences between the sellers are the price (minimal difference of a dollar or two), packaging, shipping method and communication. Many users have reported rather positive experience with all the different eBay sellers. There is the exception of a few who received damaged products due to shipping and some others experienced slow shipping. Such users are few and far in-between. “Warranty”, “exchange” and “refunds” are rather subjective and there are mixed response from different people. The general rule is that the monitor must have more than 5 dead pixels to be considered as faulty. You may communicate with the seller to work something out. Apparently, it is said on their eBay page that the buyer pays return shipping. Stuck pixels and dust behind glass will not be considered. There are people who requested partial refunds for clusters of dead pixels and were successful. There seems to be an option for “Perfect Pixel” for certain brands and models. Do read carefully what the “Perfect Pixel” guarantee claim is by the seller before committing. As far as I know, there are users that opted for such an option still receiving monitors with pixel related fault. Here are some information and user feedback that I have come across through my research of the different brands and the specific models. Do take note that some information that you read here will be subjective as it is based off the experience users have posted. There are models that I cannot find any feedback thus cannot give you the general consumer view of it. The image for each model is the promotional image that is done by the company itself. It should give you a slight idea of what to expect of the monitor stands and overall look of the monitor. The ShiMian QH270-LITE is the cheapest option out of all the other brands and models. This model comes with the bare essentials without any added functionality. The stand used is the same as of all the other different Achieva models. General user feedback is that the stand is alright but does feels cheap and may be wobbly at times. There are mixed reviews over the unit, most people reported “perfect” panels in the sense that no faults can be easily seen or were detected. A few have detected dead and stuck pixels, usually one to two but nothing too major. Using this model as the universal price benchmark, it currently costs around ~$330 USD. The ShiMian QH270-IPSB is basically a QH270-LITE with tempered glass. The tempered glass does give a very sleek vibe to the monitor, almost similar to that of an Apple Cinema Display. It does have the same problem of heavy reflections should you not control the lighting within the room. The added tempered glass does in no one improve any kind of functionality except the pure aesthetic of the monitor. The main problem with the tempered glass is that not only do you risk the chance of having received a monitor with pixel faults, there is also the chance to receive a monitor with dust particles behind the tempered glass. This does not warrant you any form of compensation. Same thing as the QH270-LITE, most users are happy with their purchase with some mentioning about the dust as well as pixel faults but nothing too major. They are slightly more expensive at around ~$10 USD more than the QH270-LITE. The ShiMian QH270-IPSBS is the model with internal speakers. People who used the speakers have expressed that the speaker quality is extremely poor, similar to that of your general laptop speakers. Due to the internal speakers, there is two additional buttons to adjust the volume of the speakers. They are more expensive than the QH270-LITE model by around ~$20 USD. The ShiMian QH270-IPSMS is the multi input version of the series. It accepts 3 different kinds of input namely HDMI, DVI-D and D-Sub. This version also has internal speakers. There is a built-in scaler and the presence of an AD Board means that you can use this monitor to display 1080p content from your consoles and whatnots. It is mentioned by users though that because of the scaler, there will be input lag as compared to the other models. This model has an OSD. This model is relatively more expensive, around ~$150 USD more than the basic LITE version. The ShiMian QH270-IPSTDP is a TV monitor that has the functionalities of both a PC monitor as well as a television. It accepts multiple inputs namely component, 2 HDMI, D-SUB, DVI, DisplayPort, USB port and TV antenna. It also has a SPDIF port for your audio needs. There is the function to do picture-in-picture as well (displaying two different source at the same time). It is stated that it comes along with a remote controller as well. This model has an OSD. This is the most expensive model priced at around ~$450 USD more than the basic version. The ShiMian QH270-IPSMDP is almost the same as the QH270-IPSTDP with the only difference lying in the lack of TV antenna input and the functionalities of a TV. I am unable to find a price on eBay but I am estimating it to be just slightly less expensive than the QH270-IPSTDP. The Catleap Q270 SE has a circular based stand that apparently allows you to swivel 360 degrees. Apart from that, there is the chance of receiving a monitor that allows for overclocking to refresh rates of 120Hz. It accepts only Dual Link DVI input. Users generally have great feedback of the monitor with the exception of a few reporting with some pixel faults. These monitors cost slightly more than the Shimian Q270-LITE (~$20 USD). The Catleap Q270 Multi is similar to that of the ShiMian QH270-IPSMS. It has 3 different input options namely HDMI, DVI and D-Sub. The internal speakers are rated at 2W per side as compared to the 5W per side of the ShiMian monitors with internal speakers. There is however, the additional option of audio out. There is also an OSD for the monitor. 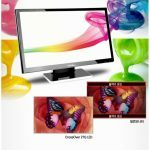 This monitor is priced at roughly ~$140 USD more than the basic Q270 SE model. The Crossover 27Q LED is similar to that of the ShiMian Q270-LITE. It also has a rectangular base stand but is said to be of better quality. The general consensus is that the overall build construct of the monitor and quality of the stand is the best among all the other brands. The general feedback from users is that the monitor is great and seemingly of higher quality than the rest. There are, however, still some people who came out saying that they received monitors with slight faults. Nevertheless, most users have a great experience with them. The model cost slightly more than the rest at roughly ~$50 USD more expensive than the ShiMian Q270-LITE. The main difference between the Crossover 27Q-P and 27Q lies in the stand. The 27Q-P stand allows for the monitor to be rotated into a portrait position. Other than that all the other features and feedback is mostly the same as with the 27Q. This model does cost slightly more than the 27Q at roughly ~$20 USD more expensive. The Crossover 27M LED is the multi input version for the Crossover monitors. It accepts several different kinds of video input namely HDMI, 2 D-Sub, DVI, HDMI and component. There are the audio inputs of normal PC audio in as well as SPDIF. There is the presence of a pc audio out port as well. A USB(SVC) port is also available. The stand is similar to that of the 27Q-P. There are internal speakers rated at 7W per side for a total of 14W. These are relatively expensive and will set you back quite a bit. These are priced around ~$320 USD more than the ShiMian Q270-LITE and ~$270 USD more than the basic Crossover model. The 3View PB2700 is similar to that of the ShiMian QH270-IPSBS in the sense that there is a pair of internal speakers. The monitor stand, however, is circular in shape. 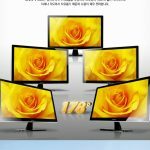 According to reviews online by Korean websites, it is said that the PB2700 has relatively better contrast ratio and response time as compared to the rest of the other brands. Users that purchased the PB2700 are generally happy with their buy and few have complained of any faults. They are priced at ~$15 USD more than the ShiMian QH270-LITE. Little are known of the Davi D279SV-VGQ2. 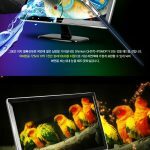 There is a user that confirms that the monitor has an anti-glare coating to it, similar to the Dell Ultrasharp series. That makes it the only known Korean budget monitor that does not have a glossy panel. The rest of the functionality is the same as the ShiMian QH270-LITE but are priced slightly more expensive by ~$50 USD. The above are the few brands and models that are easily accessible for purchase. They are also the monitors that users have already bought and use. There are many other brands out there and if you do find one that is interesting or have any experience with them, do feel free to contact me with your feedback. At the same time I would like to thank all the different users in the various forums and websites for their inputs and feedback. Information on this article are mostly based off what I have researched and understood from all the above websites and links. thank you for putting all this info together. 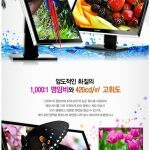 I’ve been looking at getting one of these Korean monitors and what you have here has made the job a whole lot easier! I’m still deciding between the Shimian and the Crossover. Glad that the article helps! Great article! Covered everything I was searching for. The only thing I am still wondering about is whether these monitors are compatible with new MacBook Pro 13-inch Mid 2012 (8 GB 1600 MHz DDR3 RAM, 2.9 GHz Intel Core i7 and built in Intel HD Graphics 4000 512 MB) through a thunderbolt to dual-link dvi adapter? The reason I am asking is because some sellers say that they won’t work with laptops, but I can’t understand why, if most MacBooks (that came out since 2011) support at least one Apple Thunderbolt display (or Cinema Display), which can even be daisy chained up to 2 or 3 external monitors for some MBP models. And since these monitors are pretty much rejected Apple Cinema displays, I don’t see why plugging them through a high quality thunderbolt to dual-link dvi adapter wouldn’t work. It should work. Came across several people that used an ACTIVE displayport to dual dvi adapter and it worked. A thunderbolt to dual-link adapter thus have a chance of working. I can’t however be 100% certain that it will work since I haven’t seen any reports of such connection and being successful (with that said, none reported unsuccessful as well). If you do get it working do get back! I’m certain many people would like to know as well. Pingback: Monitor Recommendation Equivalent to Apple Thunderbolt Display? what model is the Achieva that has a brush aluminum look?? It might be the newer model QH270-IPSI Its a tempered glass model but the glass is supposedly “inside” which I assume to be covering just the lcd panel. Thank you for the compiling this info, that long thread in overclockers was a nightmare to read.. Cross over me thinks! Have you found any locations that demonstrate or show pictures of the OSD, or switching between sources on the multi-input models? I’m looking for specifics on what options the OSD offers. Can you turn scaling off and have 1:1 native pixels, centered? I can’t believe nobody’s been more thorough in describing the OSD and its’ functions. I was recommended this web site by means of my cousin. I’m not sure whether this submit is written through him as no one else know such certain about my problem. You are incredible! Thanks! I’ll go straight to the point. There is no mention anywere on the web with regards to the HDMI bandwith support. Not all HDMI inputs do support 2560 x 1440 in fact most don’t by only providing 1080p. No mention about the Display Port either. Is there anywhere we can get this info as far as you all know? It maks the hell of difference before we trow lot of money in the very inviting QH270-IPS-TDP just to find out that all we have for 2K riproduction is DVI that we can get with the ceaper models. Any idea how they work with retina MacBookPro? I quess (atleast) some of them works…? I noticed today that there is a Yamasaki Catleap Q270 SEi (“i” being the difference), with the only difference being it has much much lower standards on pixel defects (20 on the outer areas and 5 in center as opposed to 5 and 1 respectively). It makes it way cheaper and I haven’t seen a “perfect pixel” version and don’t expect to either. Thought you might like to know! Just to clarify, for the lite version of Achieva, I can fill the screen when I run native resolution but if I were to play games and lower the output resolution,I won’t see anything displayed? Or will I see a small screen centered on the monitor? The whole screen will be filled. The image will be stretched to fill the screen. Nice Post. Choosing a monitor is a headache before. After reading your post. I now know what to look for, when choosing a monitor. Thank you. Keep more post coming up.